The purpose of this guide is to serve as a visual catalog of body part models available for checkout at the circulation desk. The University of Nevada, Las Vegas Lied Library offers 3D models of muscles, organs, and bones available for checkout at the Circulation Desk. 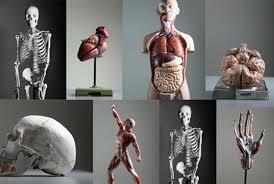 Students are allowed to check out 2 body parts at a time for 2 hours each. Body parts accrue $10 per hour late fees per body part checked out. Body parts can not be renewed.